Normally there would be no reason to get excited about a Toyota Yaris. The 106-horsepower subcompact can usually be found in the hands of drivers-ed students, or people who skipped drivers-ed all together. 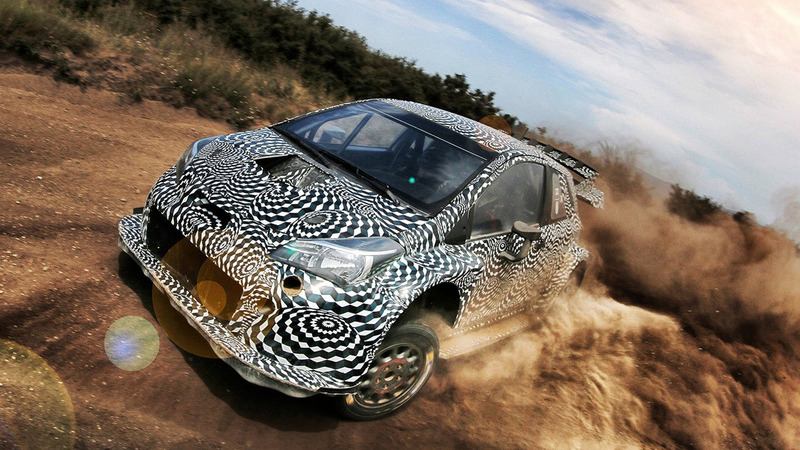 However, this isn’t that Yaris, this is the all new Toyota Yaris WRC, and it’s mean little bugger. As depicted in the video below, Toyota is in the final stages of development for their new Yaris WRC car, and things have been going rather well. WRC legend Tommi Mäkinen is heading up the Toyota Gazoo Racing WRC as team principal, and will reportedly be at the wheel in the upcoming season along with Juho Haninnen and Jarkko Nikara. Development of the Yaris WRC has been a two-pronged approach, so that individual teams could work on setting the vehicle up for different environments. Since the first shakedown in Finland last May, the Yaris WRC has completed over 5,000 kilometers of testing, in Finland as well as Spain and Portugal. The Finland-based was been working on reliability and durability with a focus on the engine and gearbox. The Spain and Portugal team, on the other hand, has been focused on the suspension and dynamic capabilities of the car. It looks as though most of the video was shot with the latter car vs the one in Finland, though, I’m no expert in Nordic geography. No matter where it is, the Yaris WRC looks angry, and sounds angry, which means it should be a blast to watch in competition next year.